Suffern Community Center, 41 Washington Ave.
Join us in Suffern to help Keep Rockland Beautiful on Saturday, April 27th from 9-12. Register on keeprocklandbeautiful.org, and choose the Suffern clean-up location. 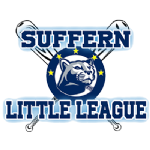 For more information, please contact the Recreation Department at 845-357-7943 or email: cathym@suffernvillage.com Happy Spring!